A study tour was organized by the USAID/COMFISH Plus project from April 28 to May 4, 2018 in collaboration with USAID/Senegal, USAID/Washington and other U.S. Government agencies. 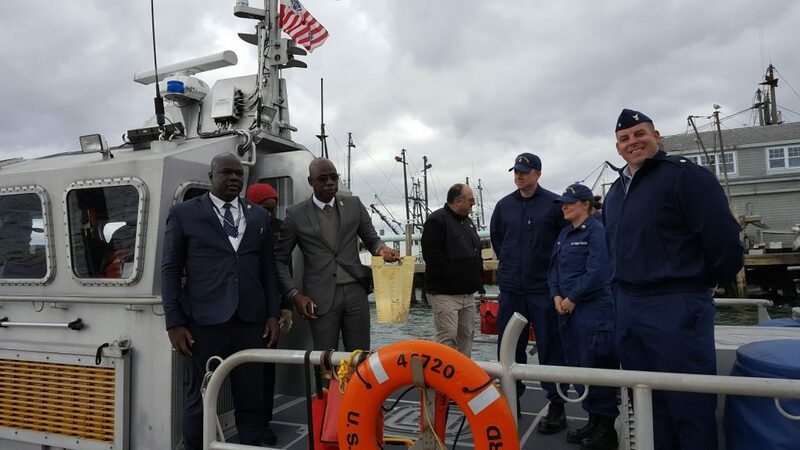 The delegation visited Rhode Island and Washington DC, and shared experiences on the management of fisheries resources, including strategies to address illegal, unreported and unregulated fishing (IUU) and to identify avenues for collaboration with US institutions working in the same field, including NOAA, USCG, the State Department and the Stimson Center. The delegation was led by the Minister of Fisheries and Maritime Economy (MPEM), and included the Director of Fisheries Protection and Surveillance (DPSP), the Director of Fisheries Processing Industries (DITP), the Coordinator of the Research and Planning Unit (CEP) of the MPEM, the Head of the Inspection and Control Division of the DPSP and USAID/Senegal. The importance of traceability of fishery products. 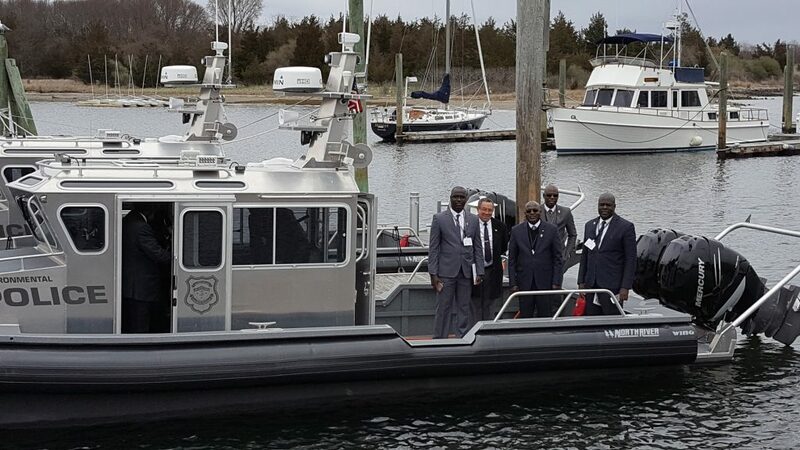 Members of the Senegal Study Tour delegation visited the U.S. Coast Guard station at Point Judith, RI.